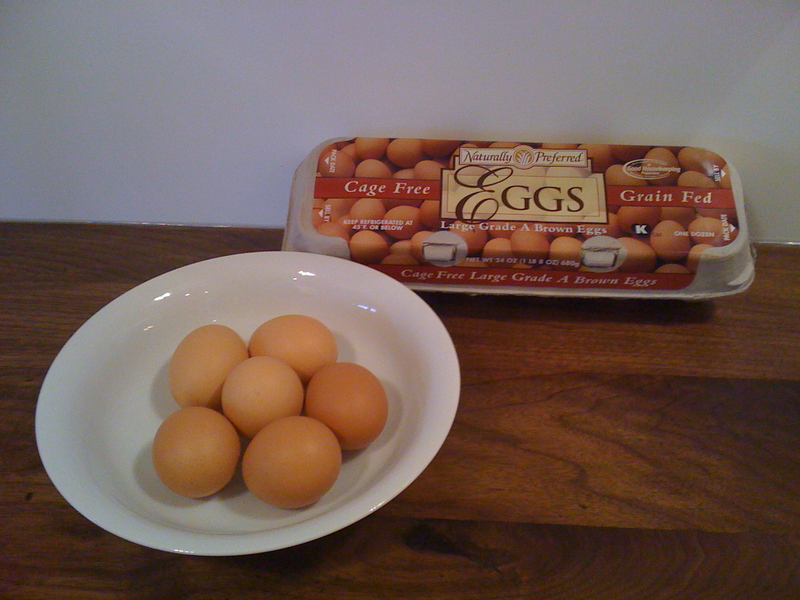 This entry was posted in Food fairness, Sustainability and tagged cooking eggs, industrial egg production by judyramey. Bookmark the permalink. I am sorry to hear that you’re under the misapprehension that an egg label like “Cage-Free” or “Grain-Fed” makes for “a happy, well-fed hen.” Cage-Free (as well as “Free Range”) does not mean what many people think… it absolutely does NOT guarantee access to the outdoors nor the ability to engage in species-specific behaviors, let alone better living conditions for the animals. “Cage-Free” eggs from a subsidiary of a large corporation like Kroger are ABSOLUTELY still produced by factory farms. Do not be fooled into thinking they are raised in conditions that differ from the others (re: beaks cut off, not enough room). They can still be crammed into a too-small living space, subjected to artificial lighting/schedules to make them produce more, etc. Moreover, if you’re interested in consuming organic products, you should know that a vegetarian diet (“Grain-Fed”) does not necessarily mean organic – you can always look for the USDA Organic mark to check if you’re unsure. Please do yourself a favor and read Jonathan Safran Foer’s “Eating Animals” if you want to learn more about how hens are raised in the industrial agricultural system we have in the US. If you want to be a conscientious consumer, you really have to get to know your local egg producer to ensure hens are fed healthy diets and raised in a humane manner. It definitely involves more time and effort on your part, so if that doesn’t sound feasible, try a vegan diet! Whatever you decide, keep asking, learning, and trying your best.. you are on the right track. Mary’s got a strong point of view but the issue is a serious one–I’ll read the Foer book and report back to you.